Throughout your career, from time to time a prospect or client has asked for a discount from your rate card. Sales trainers have long taught us that “price” actually is code for “value.” Discount requests have always been a signal that your value is perceived as out of line with what you charge. However, when discount requests become more the norm, that’s a larger, more ominous signal. Kevin McMurdo wrote an insightful post about a conversation among a few lawyers, a sales executive, and himself, in which the lawyers bemoaned the increasing frequency of discount requests. He wrote, “Clients are constantly asking me for discounts,” moaned one of the lawyers. The other lawyers quickly joined in the collective commiseration. Clients want discounts, they all agreed. Whether to impress the boss, protect the budget or simply because they can—clients expect discounts. When it feels like everyone is demanding a price concession, it’s no longer a discount. It reflects a change in the prevailing market price. It’s the canary in the pricing coal mine, alerting you to danger. If you’ve been selling something for $1000 for years, the occasional request to take $900 constitutes a discount. When the frequency becomes noticeable, it’s evidence that the market price is beginning to drop. When price cut demands become commonplace, or the requested cut is much deeper, say, 20%, you’re no longer dealing with discounts. This is clear evidence that the perceived value of that product, service, or solution has declined in the eyes of buyers. Clients want discounts, they all agreed. Whether to impress the boss, protect the budget or simply because they can—clients expect discounts. In a joint survey of close to 1,100 private-practice lawyers and corporate counsel by Law360 and The BTI Consulting Group, corporate counsel reported receiving an average discount of 15 percent. 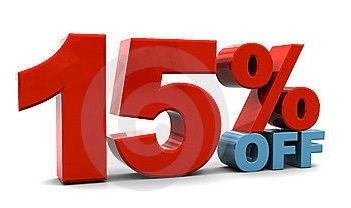 An average price reduction of 15% isn’t a discount. Using the example of our $1000 item, $850 is the new regular price. The $1000 list price no longer exists if nobody is paying it. We’ve seen this phenomenon writ large in retailing, most noticeably in cars, furniture, and bedding. Anyone who’s bought any of these items over the past 40 years, or observed advertising in these categories, knows that the list price is a joke. Nobody ever paid list price, and no dealers really expected them to. The list price was merely an arbitrary reference point for the putative discounts trumpeted in ads, or the starting point for point-of-sale price negotiations. Over time, retailing’s addiction to short-term discounts and promotional pricing trained buyers to wait for sales or discount events, or to ignore list prices entirely and negotiate vigorously on every purchase. Once established, the “list price is for suckers” mentality never goes away, with the result that the prevailing discount or net purchase price becomes the de facto list price in buyers’ minds. Once $1000 is discredited, and $850 is established as the “real” price, how long will it be before somebody decides to negotiate down from that new list price? There’s an important lesson in this consistent business history. In mature product- or service categories, discounting is inevitable. Proactive discounting is a lazy, but temporarily effective, way to compete against established brands. Unfortunately for discounters, it’s also very hard, if not impossible, to protect that strategy. Anyone can offer a larger discount. Somebody will always be willing to charge less than you, if only to displace you. Once prices begin declining, they continue to decline. It can easily become a downward spiral, a race to the bottom. Modify your operations to reduce your costs to align with pricing trends, and to allow you to remain profitable as the price continues to erode. Since one of your largest costs is lawyer salaries, this will be next to impossible because very few law firms have the appetite for partner income reduction, or possess the operational sophistication to adopt this strategy. Gradually disinvest in the declining asset. Accept that it can’t be part of your future. Use the remaining period of profitability to identify and invest in establishing yourself as the solution to an emerging problem (preferably in a growing sector). As shown below, over time, the percentage of revenue that comes from the maturing category will decline as the percentage of revenue from your new category increases. At some point the new work, where you have pricing power, will displace the work whose price has declined. This maturity cycle will repeat itself. Eventually, what is now your new category will mature and lose its pricing power, requiring you to begin another gradual reinvention. Be alert for the first sign of discounting, and begin planning your eventual exit from that category in favor of something fresher and more opportune. You want to be the first to begin the shift, not the last.